Christopher Kopka is president of Thrivent Church Solutions. In this role, Kopka leads Thrivent’s strategic and business development functions to equip, empower and deploy tens of thousands of guides and champions serving across more than 30,000 local congregations and related ministry organizations. For the past two years, he has also served as the senior vice president for Mergers, Acquisitions and strategic Partnerships to help Thrivent build a collaborative model for enterprise M&A. Kopka joined Thrivent in 2006. He began his career providing training and development for law enforcement, which led him to attend law school at the University of Minnesota. He has served in senior strategy, legal, compliance and business development functions throughout his career. Chris is also a lifelong poet by passion. He presently serves on the board of directors of Cooperative Development Services, as an adjunct professor at the University of Minnesota Law School, as an advisor to several ministry organizations, as a mentor to church planters and a member & attendee of Twin Cities-based church plants. Kopka is also an author and frequent presenter on topics related to cooperatives business models, to church models and funding, and about ethics. His most recent book is entitled The Habit of Asking: Fearless Fundraising through Research-based Insights. Chris and his wife, the painter and author Anna Dvorak, live in Minneapolis, Minnesota. Maybe you’ve been working in an established business architecture practice and are wondering what’s next, to leverage the discipline within your organization and to advance your career. Maybe you’ve just learned about business architecture and are excited about what you’ve heard, but do not really know where to start. Wherever you are on your business architecture journey, this keynote will explore the art of the possible for business architecture—beyond the models. To achieve more, first we must dream bigger. as a mindset, a change agent and a catalyst for new ways of thinking, operating and transforming. We will explore the role of business architects as leaders for change. We will discuss what “success” can look like for an organization with business architecture and where you can go as an individual practitioner. Finally, we will consider some practical steps we can take to move forward. Now that we’ve achieved some maturity in the discipline, let’s advance the conversation. Let us envision together how we can leverage business architecture and the mindset it brings to build better organizations, ecosystems and societies. 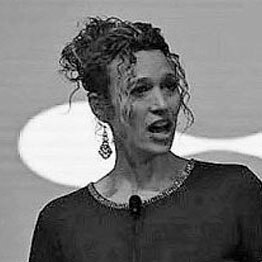 Whynde is a long-time business architecture practitioner, educator, author and recognized industry thought leader, with extensive experience applying the discipline at leading Fortune 500 enterprises and a range of entrepreneurs, nonprofits and social initiatives. She is an IDT Institute Fellow and a Senior Consultant for Cutter Consortium. Whynde is also Partner at Business Architecture Associates, and Co-Founder of the Business Architecture Guild. Whynde is also a passionate advocate for applying solid business approaches to enable non-profits, social enterprises and cross-sector social initiatives to successfully start, scale, replicate, and sustain. With a focus on Africa and developing nations, she has spent years on the ground helping organizations to move big ideas into action, operate effectively and create systemic change. As a global company approached a pivotal moment in their Consumer Digital Solutions organization – poising to support unprecedented volumes of customer demand, it was critical to adequately prepare the organization for the delivery of exceptional customer experience aligned with the organization’s vision. Learn how this company went from nothing to something special in a matter of weeks! Andrea Pohlman, Aeritae Andrea has an established career as a global leader in Organizational Transformation and brings wide-ranging experience in the successful design and implementation of highly impactful programs for Sales, Marketing, Operations and Service environments in varied industries through innovative strategies and tested frameworks. What’s after capability mapping and planning? How does the business unlock value from insights of a business capability map? What is the difference between modernization and transformation? What is the shift in business models and how does Business Architecture play in that space? Let’s take a look at business trends and how a master design leverages business capability planning and service design. Quoc-Bao Do, Wells Fargo Bao has been working for 22 years in IT / Innovation, and more than 10 years of Business Architecture. A Digital Transformation is not simply an exercise in deploying a new set of technologies, but about discovering and implementing new opportunities to do business and interact with customers digitally. So how does a business identify new business opportunities and and how do they prioritize which opportunities to invest in? Terry Roach, Capsifi Terry Roach is founder and; CEO of Capsifi, an Australian software company, developer of the Jalapeno Business Modelling Platform. Terry spent his early career as an architect with major global technology companies (IBM, Apple, PeopleSoft & Oracle). His 2011 PhD in the emerging field of Business Architecture, inspired the founding of Capsifi and the development of Jalapeno. Many business architecture practices place early focus on building. Maps. Models. Capabilities. Value Streams. After all this effort, we often hear the refrain of “don’t show them your capability map” or “don’t tell them its business architecture”. To truly drive business transformation, we need to evolve beyond those thoughts, and learn how your business can benefit from the hard work you put in to building the architecture. And yes, they will begin to understand not just that its business architecture, but that using it matters. Therapeutics, sharing lessons learned in the pragmatic application of business architecture to the overall investment cycle, from planning strategic initiatives to managing project scope. David Stevens is an insightful and pragmatic thought leader in business architecture with over 15 years of consulting and management experience in both business and technology functions in the healthcare and manufacturing sectors. He enjoys helping business leaders grasp business opportunities through the aspirational but realistic hybridization of industry best practices always focused at the business problem in hand. David operates with an ego-less and boundary-less style and excels at bringing together sometimes disparate cross-functional parties in pursuit of a shared vision and common purpose. He is English but has lived outside the UK for many years, with 15 years in Belgium and now happily at home here in the Twin Cities since moving here with 3M in 2001. David currently works for a Prime Therapeutics, developing a business architecture practice and leveraging agile techniques to improve strategy-to-execution including investment planning, investment evaluation and effective execution of projects chartered to realize business value. Jason Towley is Sr. Director of Strategy and Business Planning for Prime Therapeutics. In this current role, he and his team have accountability for facilitating strategic and investment planning, materials for Board of Directors meetings, competitive intelligence, and investment governance. Jason has been with Prime since 2004 and served in a variety of roles. Starting in IT, he led the establishment of Prime’s first IT Service Management processes based loosely on the ITIL framework. He later led the development and facilitation of Prime’s first system development and project management lifecycles. These early frameworks were foundations for maturing practices that continue at Prime today. Transitioning out of IT and into the Enterprise Project Management Office, Jason began focusing on and maturing Prime’s investment governance process. This evolved into a need to bring tighter alignment between investment planning, governance, and strategy and his current role leading the Strategy team. Troy Nelson is Director of Business Architecture for Prime Therapeutics. He is a Certified Business Architect and a Member-at-Large member of the TCBAF Board. In his role at Prime, he leads a team of Business Architects defining the investments and changes required to support successful execution of company strategies and delivery of client requests. He is working across Prime’s Agile transformation and technology modernization initiatives, developing new business models and approaches to accelerate Prime’s delivery of value to its multiple constituents. Business Architects and UX Designers unite! Delivering an exceptional client experience over the course of an end-to-end journey is essential to win in today’s competitive marketplaces. Business Architects and UX Designers are uniquely skilled to collaboratively drive their organizations toward solutions that make business sense, delight the user, and are technically feasible and supportable. Dean Heltemes is a business and technology executive with diverse, global leadership experience across multiple industries. He is a business architecture evangelist with a focus on IT and Business Strategy Development, Strategy to Execution Planning, Enterprise and Business Architecture, and Business Process Management. Dean is also the co-founder and owner of MindStart, a company that designs and sells activity products for persons with dementia. He is currently Senior Director – Business Architecture at Ameriprise Financial in Minneapolis, MN. As business architecture continues to expand globally, there is growing recognition that it provides value beyond a corporate context, to organizations of any type or size, including religious/faith-based organizations, non-profits, social enterprises, small businesses and startups. Our talk will explore how business architecture can be applied within the context of smaller organizations and non-profits. Cisco IT has been on a multi-year transformational journey to drive architectural maturity. A critical early step in the move toward connected architecture was the adoption of an ITaaS operating model. In this session Robert will share not only Cisco’s journey but also multiple clients’ experiences in this critical early step toward a unified technical and functional architecture practice. Robert Roffey, Cisco Robert is a Director in the Customer Experience Team at Cisco, leading our Cloud Advisory Practice. Robert led development our IT Transformation Journey Map practice. Leveraging eight years’ experience in Cisco IT, and his consulting background at Deloitte, Robert and his team have helped numerous clients mature their architectural practices based on the foundation of IT as a Service. Architecture teams typically form in response to an organization’s demand for technology leadership on large enterprise efforts executing across complex cross-functional teams. The journey to mature typically results in the formation of communities of practice that play an up-front role in ensuring the company is addressing the most critical topics in the right way to achieve the desired business outcomes. This session will share the typical journey towards maturity with a focus on the business architecture community and a discussion on your organization’s journey and perspective. Grant Ecker is a Sr. IT Director leading Enterprise Architecture at Medtronic, he joined the company in Feb 2016 from Lowe’s where he managed Enterprise Architecture Governance for the home improvement retailer in North Carolina. Prior to his roles in EA, Grant has held various roles at Lowe’s and General Mills leading enterprise technology platform teams and large integration projects. Grant is a Minnesota native who holds a B.S. in Computer Science from Washington University in Saint Louis and an MBA from the Carlson School of Management. This presentation will provide a read-out on the progress to-date from our Strategy-to-Execution Special Interest Group (SIG) that has been working to create an Strategy to Execution (“S2E”) toolkit for the past several months. The toolkit is meant to encapsulate a number of existing tools and best practices in a useful and usable format for everyday practitioners. 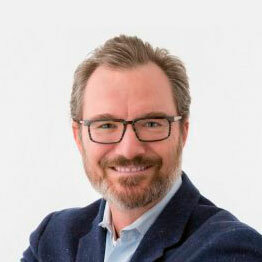 TCBAF SIG/Jeff Dreher As Director of Enterprise Strategy at Target, Jeff is a strategist, innovator, and futurist interested in disruptive business models fueled by technology and evolving customer expectations. Prior to Target, Jeff held positions as a senior strategy leader in technology strategy, business architecture and product management across the retail, financial services and payments industries. Scrambled eggs are tasty; but if you add some flour, a little sugar, baking soda, and some chocolate chips it might be more satisfying. Adding a product model to a capability model to a process model can be much more satisfying, too! A richer perspective is possible when you tie business models together. Mary Sue Moore, Asurion Mary Sue provides value through understanding to align teams. She illustrates patterns, information, and models to communicate with all contributors. She provides a business architecture view for tech, product, projects, management, and other teams. She advocates involving the whole community, sharing so as not to repeat mistakes, and better solutions through those shared experiences. Volatile business environments require dynamic strategy. While conventional approaches to business architecture tend to perpetuate a static mindset, the discipline offers various leverage points for a more dynamic approach. This session will identify some leverage points, provide some design patterns for advancing the practice, and expose indications that the transformation is already in motion. David Quimby, Virtual Coast David is a mathematical economist and systems analyst. He is a thought leader in the application of systems engineering to organizational design. He has conducted business process re-engineering (BPR) in the large-enterprise domain and has led large-scale technical integration in the context of mergers and acquisitions. David is a co-founder of Minnesota Change Management Network (MNCMN). Sessions offered in the skill building track are designed to be training sessions rather than information sharing, and are provided by TCBAF Education Resource Partners. If you are a Business Architecture Guild CBA , you are eligible to receive CEUs for these sessions. The instructors are accredited by the Business Architecture Guild. Mr. Chris Armstrong, President of Sparx Services North America (SSNA), is an internationally recognized thought leader in business/enterprise architecture, systems and software engineering, and agile development. Mr. Armstrong represents SSNA at The Open Group, the OMG, and the Business Architecture Guild. Mr. Armstrong is certified in TOGAF, ArchiMate, IT4IT, UML, SysML, and is a Certified Business Architect (CBA). Strategy mapping is a critical business architecture perspective that articulates an organization’s business strategy to enables more effective interpretation and response to deliver on the strategy. Continual changes in market forces and disruptive technologies require organizations to deftly navigate how to respond to those changes. In particular, how do those changes impact their business strategies, and complementarily, how they should they consider changing their business strategies to respond to those changes. This session will provide an overview of strategy mapping best practices for the modern business architect. An initiative map is a technique for representing the choices an organization has made about how to pursue change that allows it to achieve its objectives. Integrating initiative mapping into your business architecture practice is an essential component for describing how your organization is going to actually create the future state business architecture to deliver on the business strategy. This session will provide an overview of initiative mapping best practices that provide visibility into which investments are impacting which portions of the business and monitoring how the organization is evolving to achieve its business objectives. Design Thinking is a recently emerging topic. But what is it, and how does it align with “classical” business architecture techniques and tools? This session will answer those questions and use real-life examples to drive conversations that will allow you to apply the techniques you learn. Patrick Salaski, Metropolitan State University Pat, a Certified Business Architect, teaches business architecture at Metropolitan State University. In his spare time, he works as the Business Architecture Practice Lead for Medtronic. Pat’s passion for all things business architecture keeps him seeking and applying cutting-edge architecture techniques, and his passion for coaching others has him sharing those techniques with anyone who is interested.